***CLOSES*** Ready for another give away??? Dana from your handwriting your font is giving one lucky reader the chance to make, well, your handwriting your font!!! 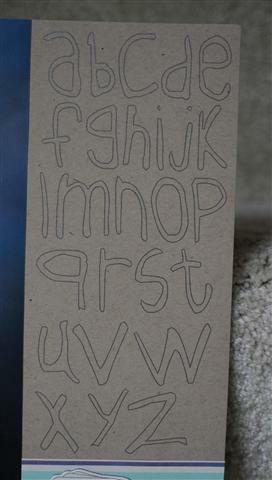 I did this with my 5 year old daughter's handwriting, and I love how it turned out!!! 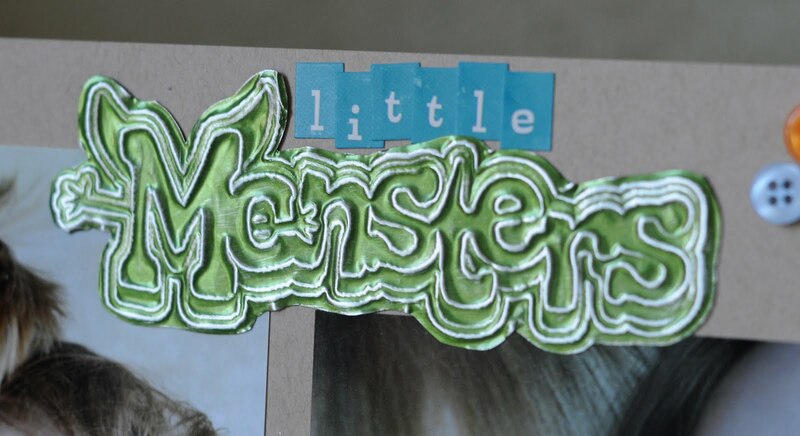 Here are a couple of pages I have done with Ella's font! Click on the pictures to see them better. So how cool would it be to have your very own handwriting to use with the mini gel pen holders for journaling on your page? 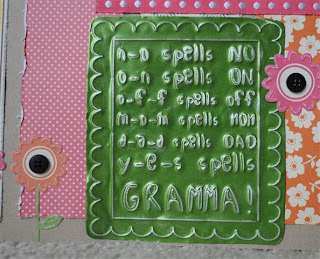 I even used Ella's font to create the super cute embossed metal journaling box! And all of this for an affordable price, what more can you ask for? Please only one entry per person! I'll pick a winner Sunday night, 9 pm, unless I'm running late! I'll need your contact info, this is very important! 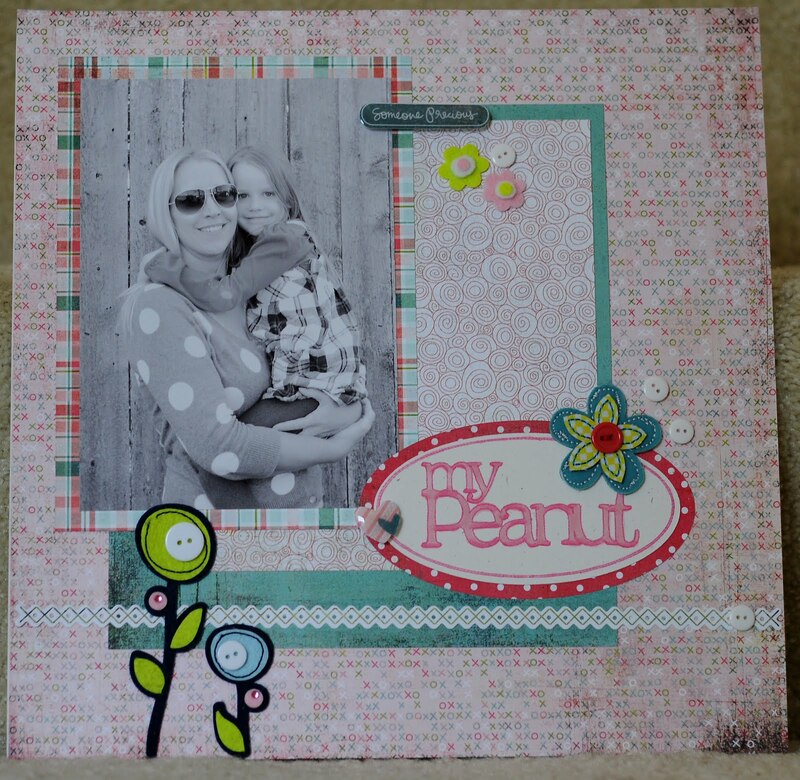 Here is a layout Denise over at Paper Pastimes just got done! Look at those details you can get with the mini gel pen holder! And you can take a simple would be "cut" from the Cricut and really dress it up! It is simple with a cut that has a shadow. 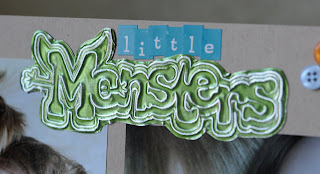 For more close up pictures of this page and details you can visit Denise's blog here! Paper Pastimes Let her know how much you like the design when you stop by! Thanks Denise! One file, different looks! 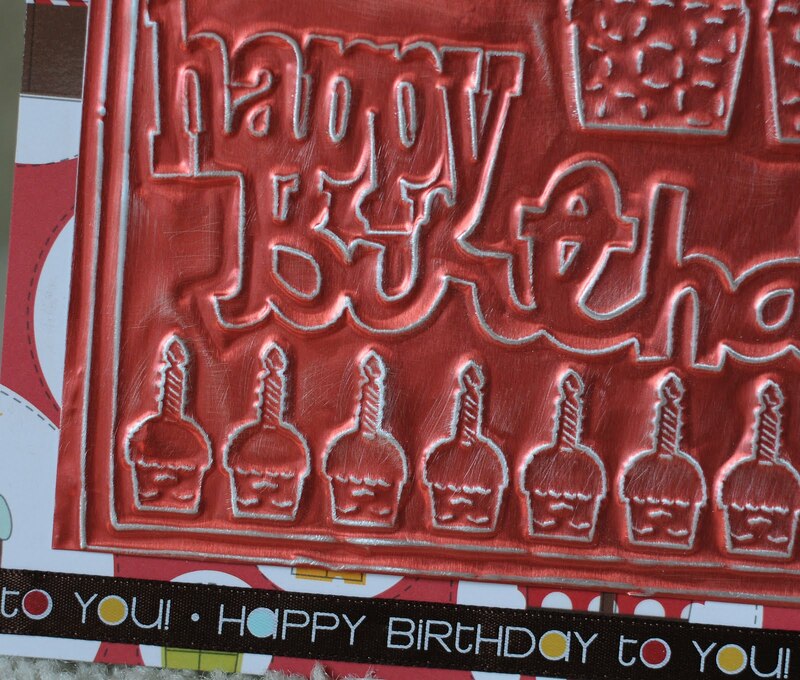 Even if it isn't a hard to make Design Studio file, I will still save it, as in the case of the happy birthday card in my last post, where I used the embossing kit and Ten Second Studio's metal sheets. For my other 2 cards I used the same file, but drew with the mini gel pen holder & colored them in with Copics! Very simple cards! The papers are all Basic Grey's Olivia line. 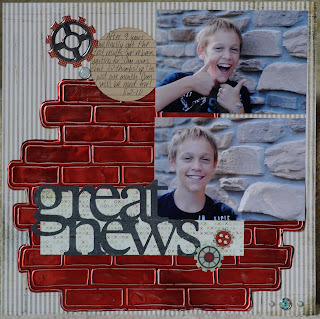 I've had a lot of requests for a video using the Ten Seconds Studio's metal sheets, and how I get the look that I do! 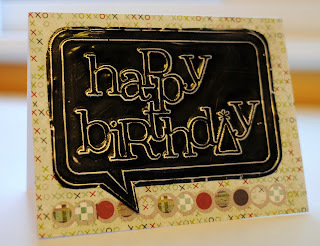 This is the card I got done with the Cricut, the embossing kit for the Cricut, Ten Seconds Studio's metal sheet, acrylic mat, paper stump & Snow Block. And here is the video! Let me know what you think! Well Donna Mundinger of Popsicle Toes is at it again! Donna made another amazing card with the mini gel pen holder and the new mini gel pens!!! She has so many great ideas!!! Look at how this card turned out!!! 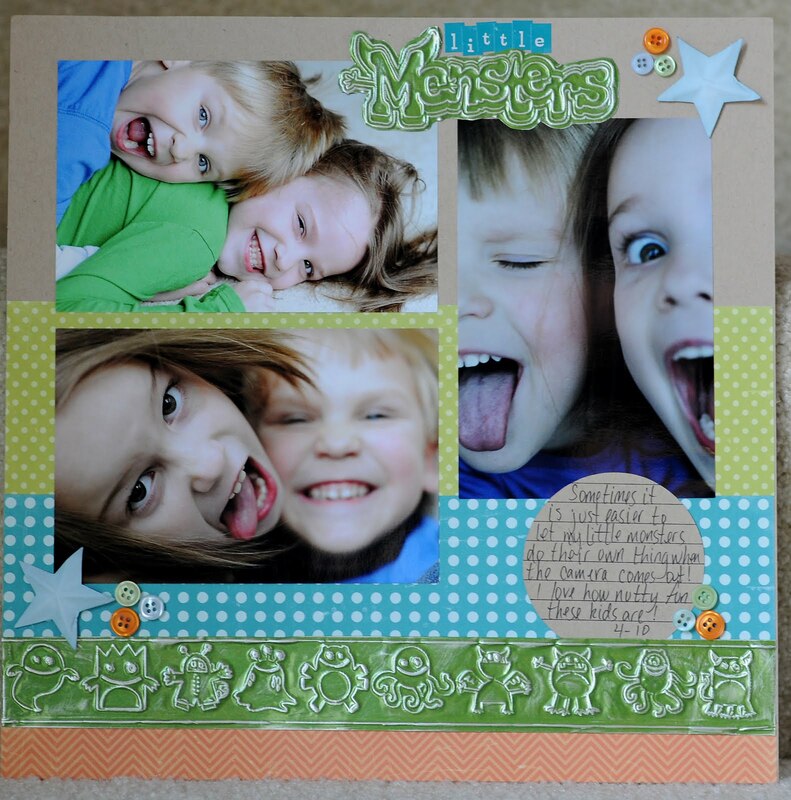 Be sure to stop by Donna's blog... Popsicle Toes and check it out! 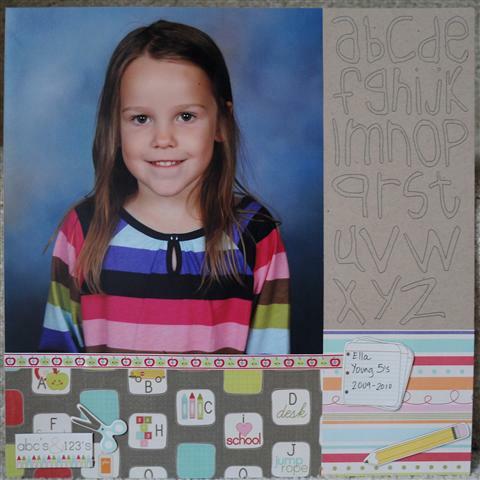 She gives supplies, directions, and has a ton of awesome cards on there! I follow!!! Great news! For 9 years now my 12 year old has been on medication for seizures, there have been countless EEG's, MRI's, catscans, and of course worry. We were told he would eventually outgrow them, and just a few weeks ago we finally got a "normal" EEG which means we can ween him off the meds! 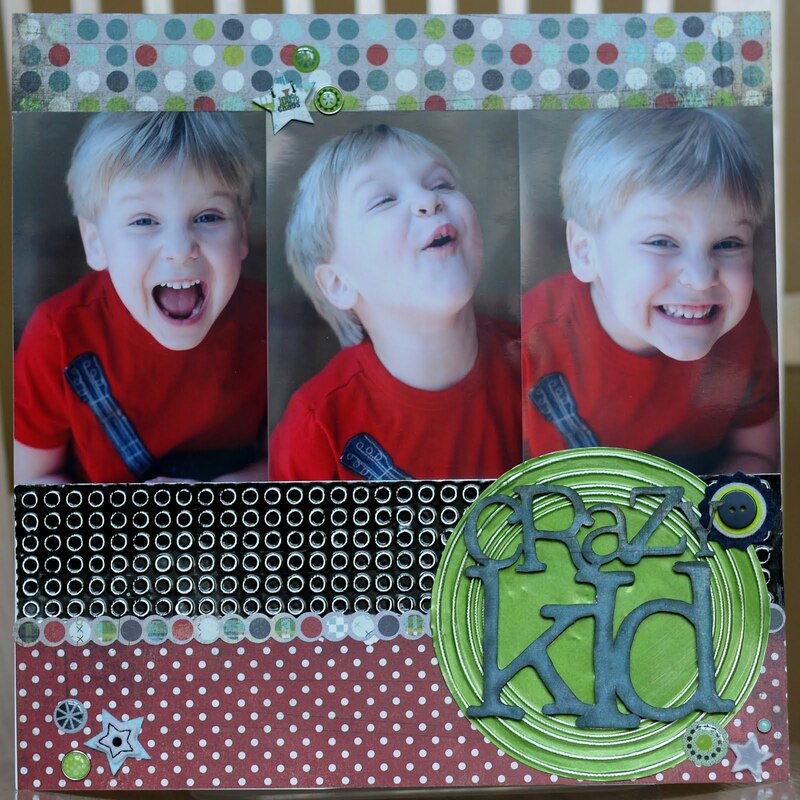 So I took him outside for a quick photo shoot and a scrapbook page to document just how happy we are here! 2 thumbs up! 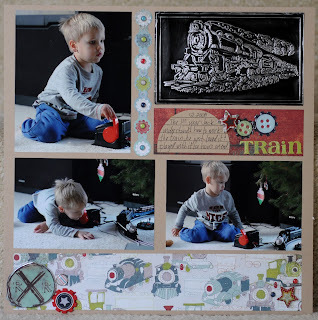 The background on this page was embossed with the embossing kit for the Cricut, the Batman cartridge, and Ten Seconds Studios metal sheets. In order to get this look I put the metal sheet colored side down, then sand the debossed side. I designed the title in Design Studio with Plantin. 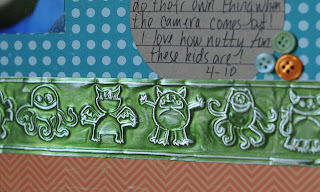 The journaling block used the mini gel pens as well. The papers are Basic Grey's Oliver line. One of my favorite parts of going to CHA were all the amazing people I got to meet, and the ideas we got to talk about! So while sitting with Donna Mudinger of Popsicle Toes about the mini gel pen holder, and telling her that I had used the Copics to color in images I had drawn with the Cricut and the mini gel pen holder for the Cricut, she had a lightbulb go off, and was excited to get home and try! 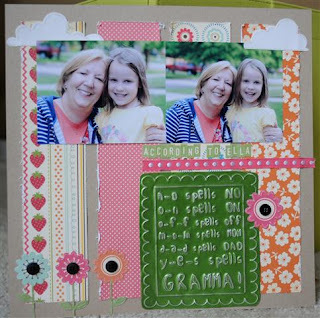 So prepared to be AMAZED at what Donna came up with! I could only dream of being that good with the Copics, hehe! 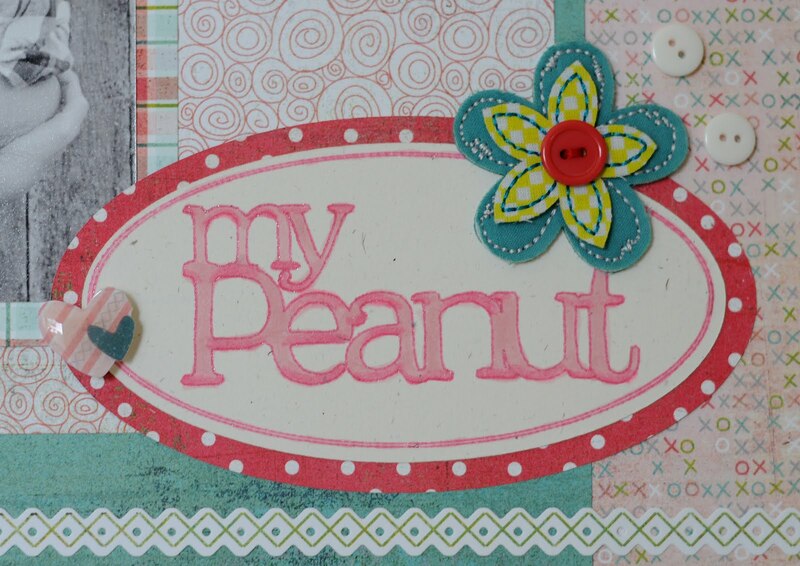 You can also go to Donna's blog here... fawn card by Donna and get the directions and more close ups on how she made this beauty! Thanks Donna! 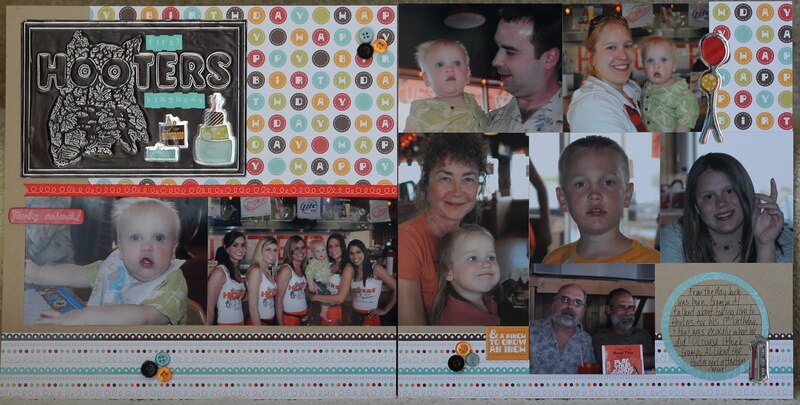 For my son's 1st birthday, his Grampa wanted to take him to Hooters to celebrate! lol I think his Grampa had a lot more fun then he did though... just sayin! 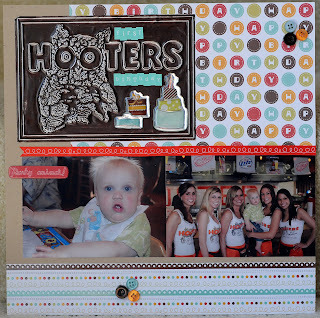 I had no idea what to do with these pictures, I mean there are no Hooters scrapbook papers and embellies (I could be wrong, lol), so these pictures have sat for 3 years, until now! I downloaded the Hooter's logo from google, opened it in Make the Cut and traced it, then embossed it with the embossing kit on Ten Seconds Studios metal sheets. Looks like the owl even has feathers! 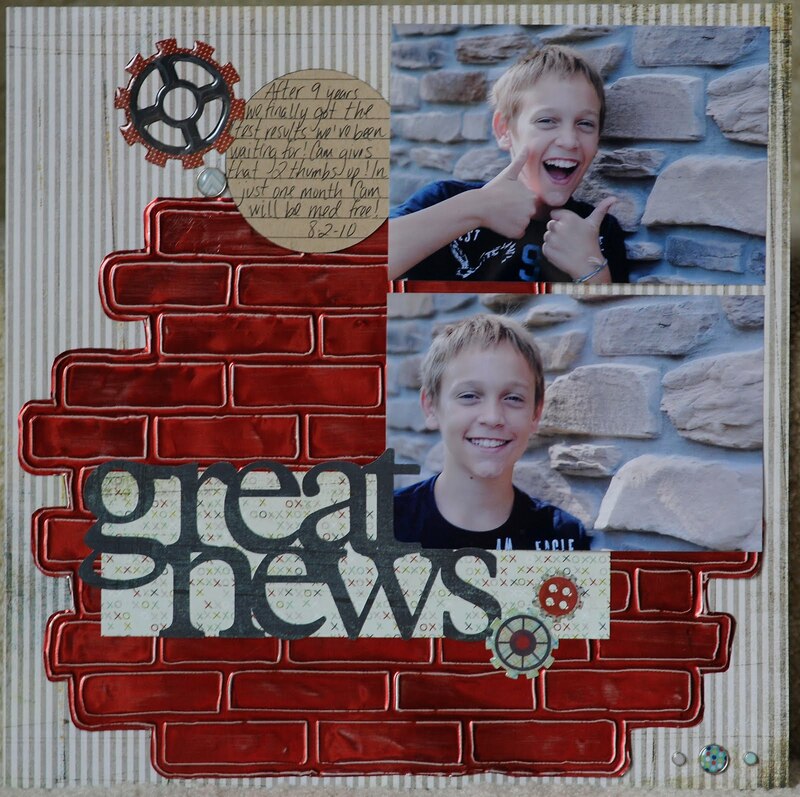 To get that look, lay the metal sheet colored side down, emboss your image, then remove it from the sheet and sand the debossed side! 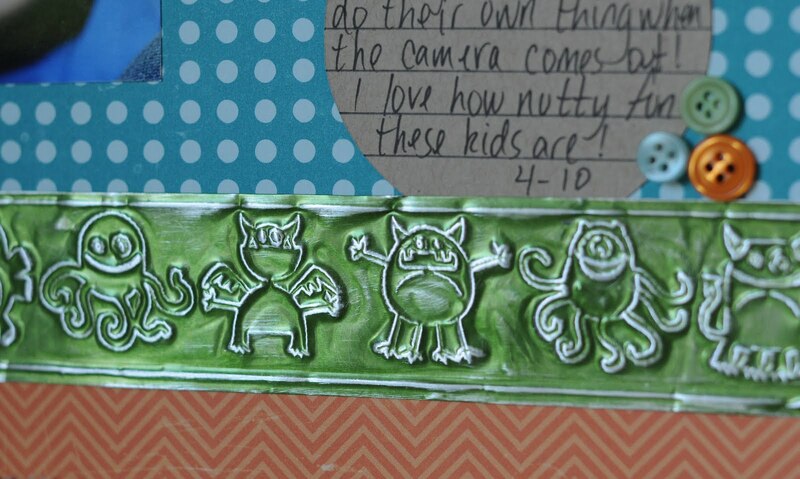 The journaling circle was done with the mini gel pen holder and Cricut as well. The papers and embellies are Imaginesce. 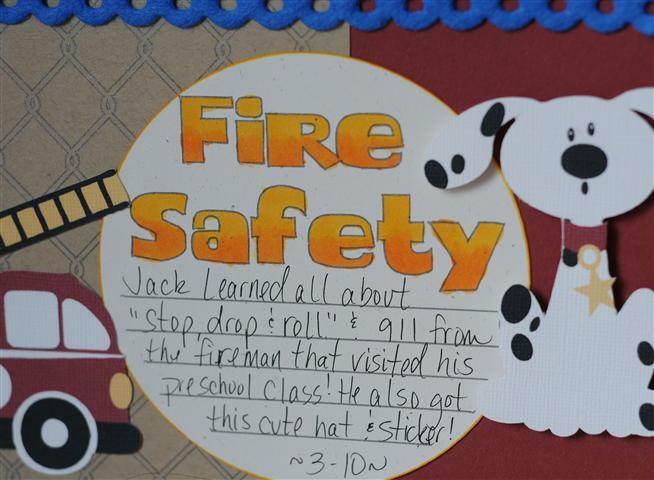 One thing is for sure, my son Jack has a lot of personality! 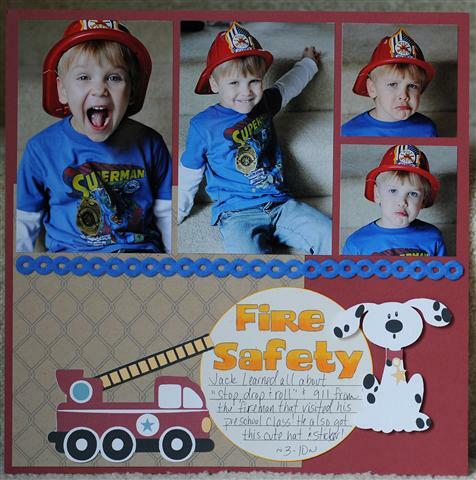 So he for sure needed a page with as much personality as he has, and these print and cuts from Silhouette had just that! I then designed the title with the journaling lines in the Silhouette software, drew them out with the mini gel pen holder for the Silhouette, then colored in the title with the Copic markers to look like FIRE!!! I also did the chain link fence with the mini gel pen holder for the Silhouette as my background paper. I also popped up the puppy dog on the page for depth!!! For my Silhouette friends, the mini gel pen holder is on sale now for $20, price includes shipping! Or you can get both the mini gel pen & mini Sharpie holder for $39, price includes shipping! I also have 20 colors of mini gel pens available as well! Love the embossing kit! Love this blog spot soo fun and lots of creative people over here! Would love the shirt! KIM! Amazing, you left me an email addy! So I will contact you! Woohooo! Congrats! I know how everyone LOVES give aways! 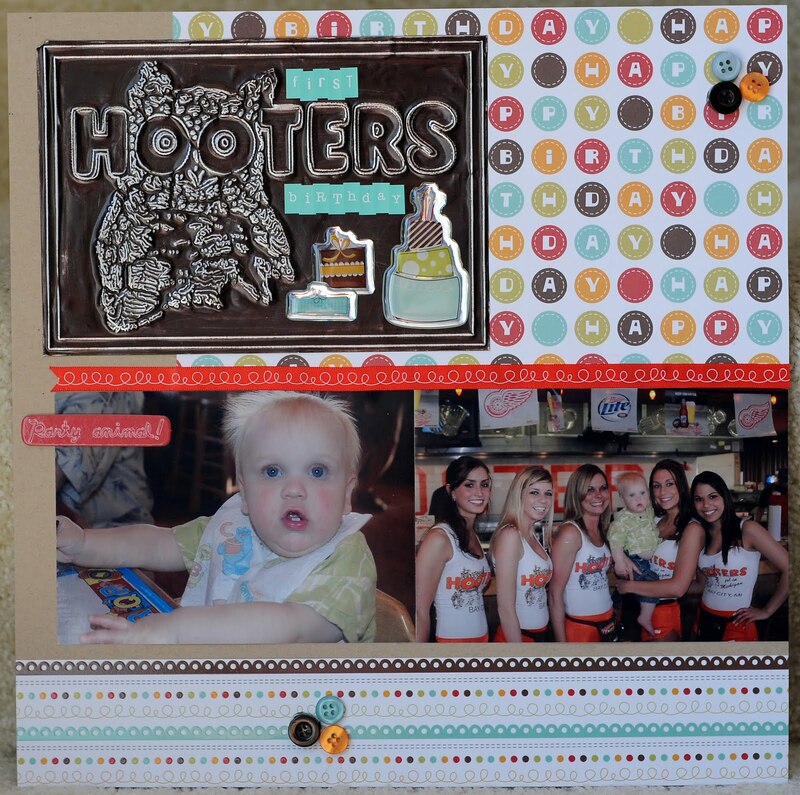 My friend Samantha over at Scrapmaster's Paradise is having a 200,000 hits on her blog give away! I donated a mini gel pen holder and gel pens for her to give away! She also made a video with the mini gel pen holder that you can watch while you are over there, and she has more give aways on her blog! 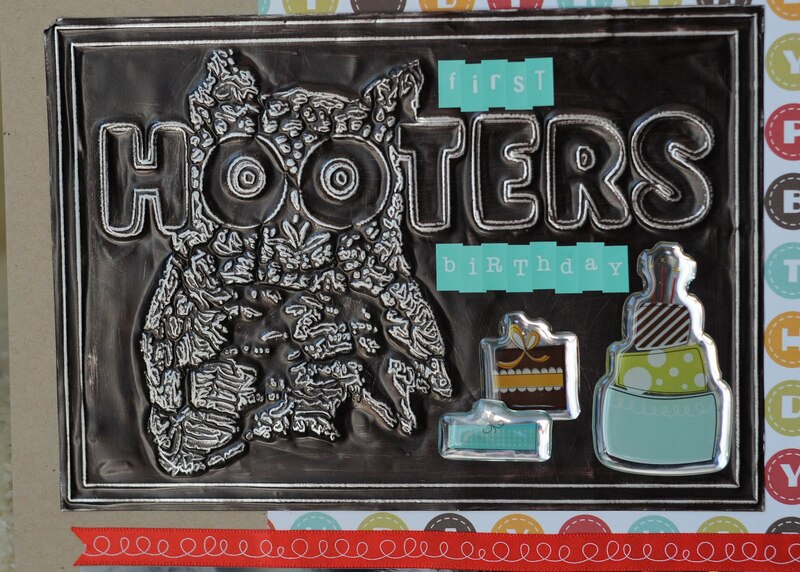 A manly birthday card? 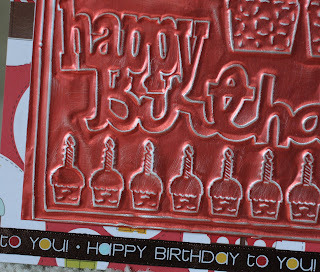 No problem with the Ten Seconds Studios metal sheets and the embossing kit that works in your Cricut! 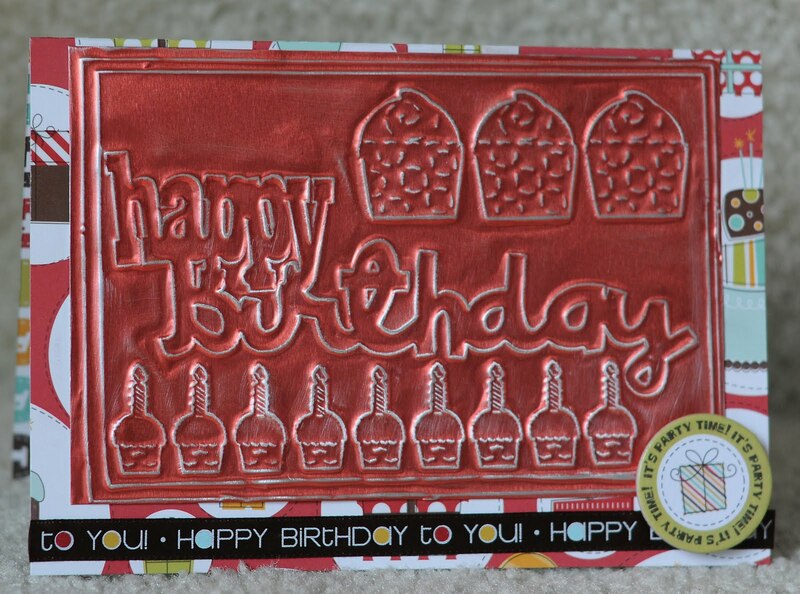 Metal makes even this birthday card with cupcakes manly like! 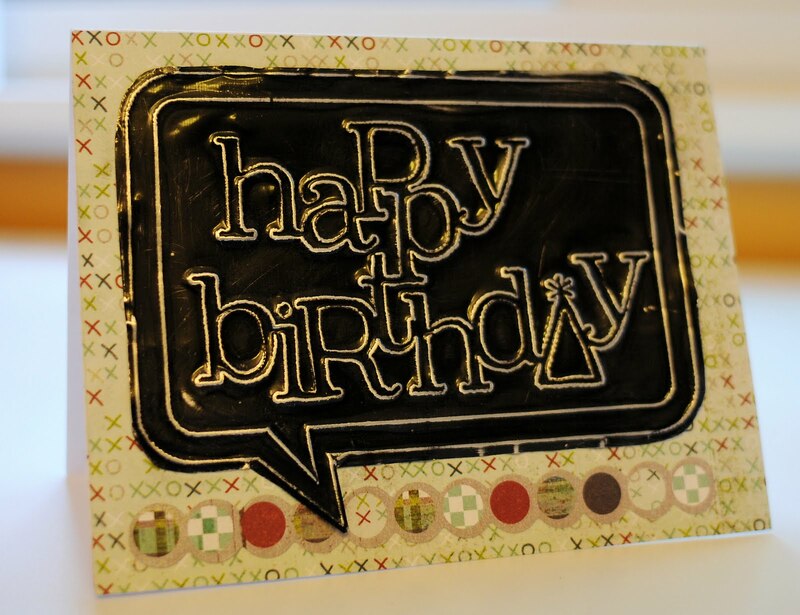 Shhhh... don't tell my hubby, he is getting this card tomorrow, but I won't have time to post it as we are going golfing for his birthday, it will be my first time, wish us both luck, hehe! 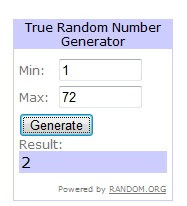 And another little give away! 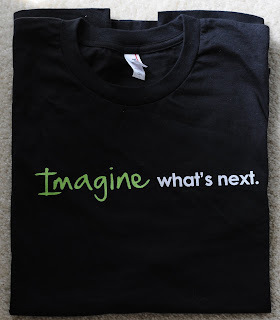 I got 2 of these shirts from CHA for the Cricut Imagine! 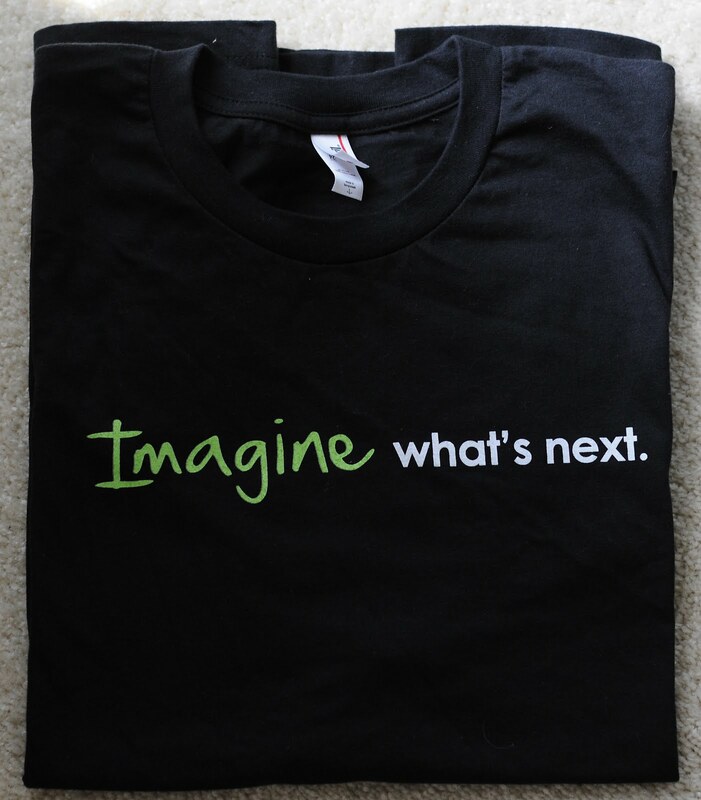 This one is size large, and you can win it if you just reply to this post! Of course there are a few rules, like you HAVE to give me contact info! That is very important lol! 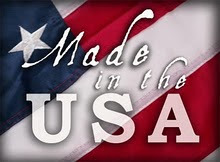 And just cause, how about you tell me what your favorite Chomas Creations product is! And only 1 post per person! I think that covers it! I'll pick a winner sometime Monday!!! 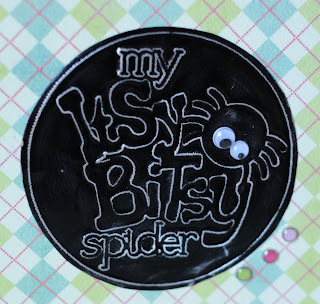 My itsy bitsy spider! I love when the kids come home with cute crafts they have done at school and I can't resist a good photo of them with their masterpieces! 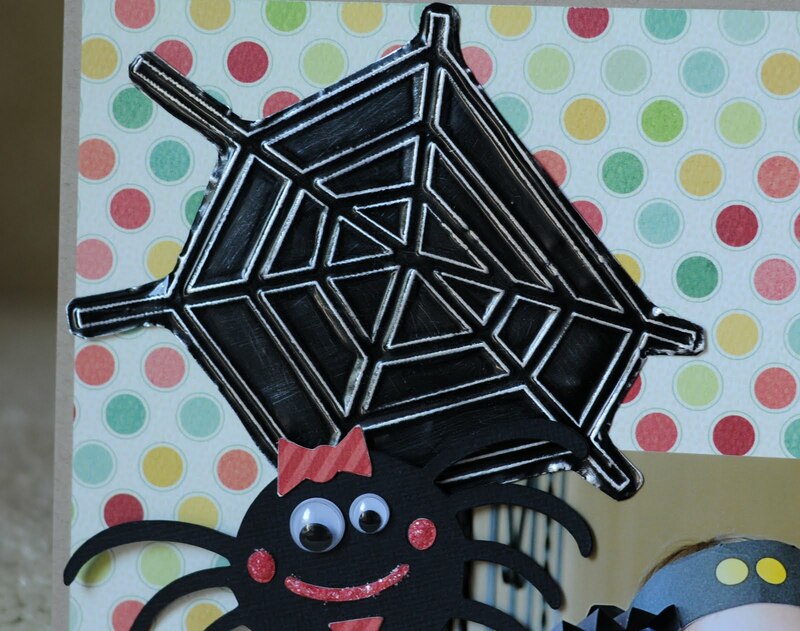 When I saw the cute spider and spider web on Mini Monsters I knew it would be perfect for these photos! 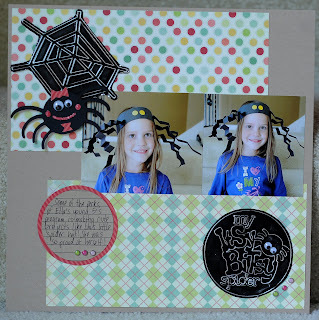 Being it is still a girly page, I used pretty colors for my itsty bitsy spider page. 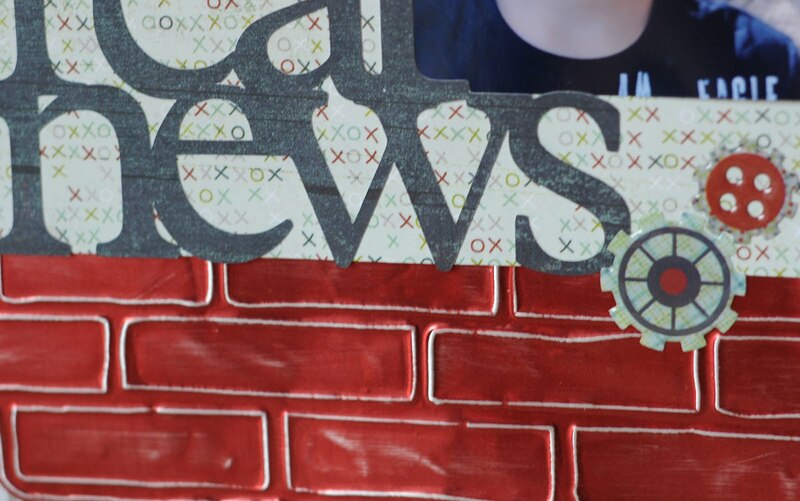 The web and title were embossed with the embossing kit for the Cricut, Design Studio and the black Ten Seconds Studio's metal sheets. 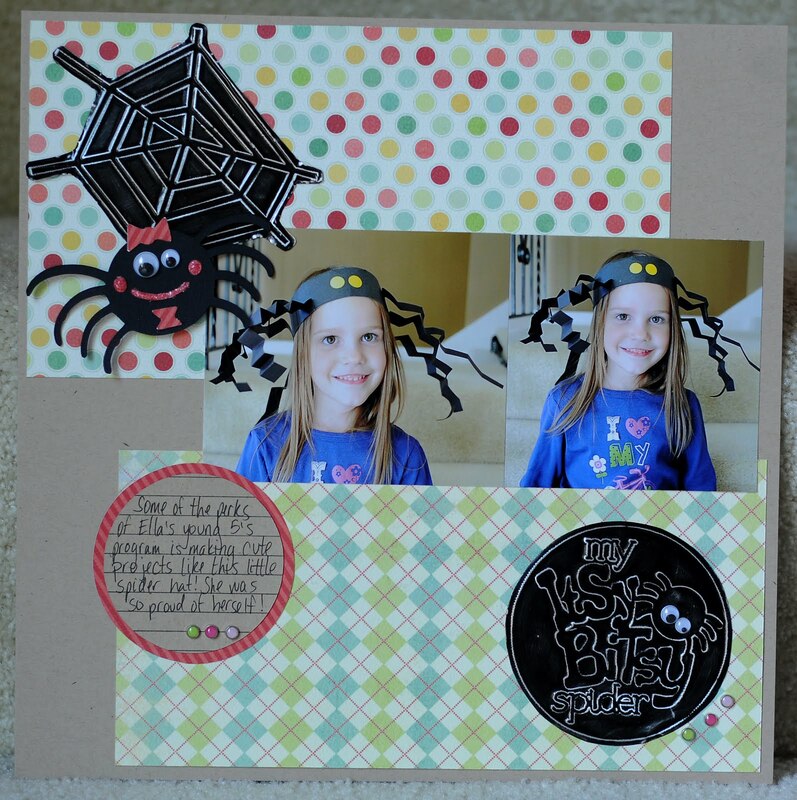 I layered the spider 3 times and then popped it up with some pop dots for texture. 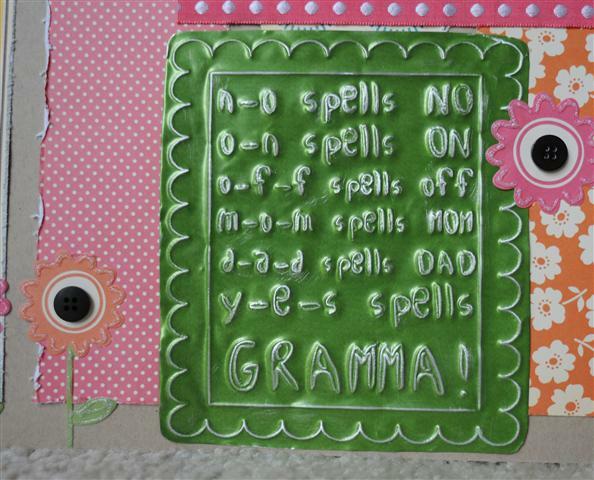 When you are embossing any words on these metal sheets, make sure to flip the letters in Design Studio so they are not backwards!!! My journaling circle is also with the mini gel pens! I keep a bunch handy so I can use them when I need them! Don't panic! Micro mini Sharpie holders are back in stock and shipping! We had a slight delay on our parts, but we are now good to go! 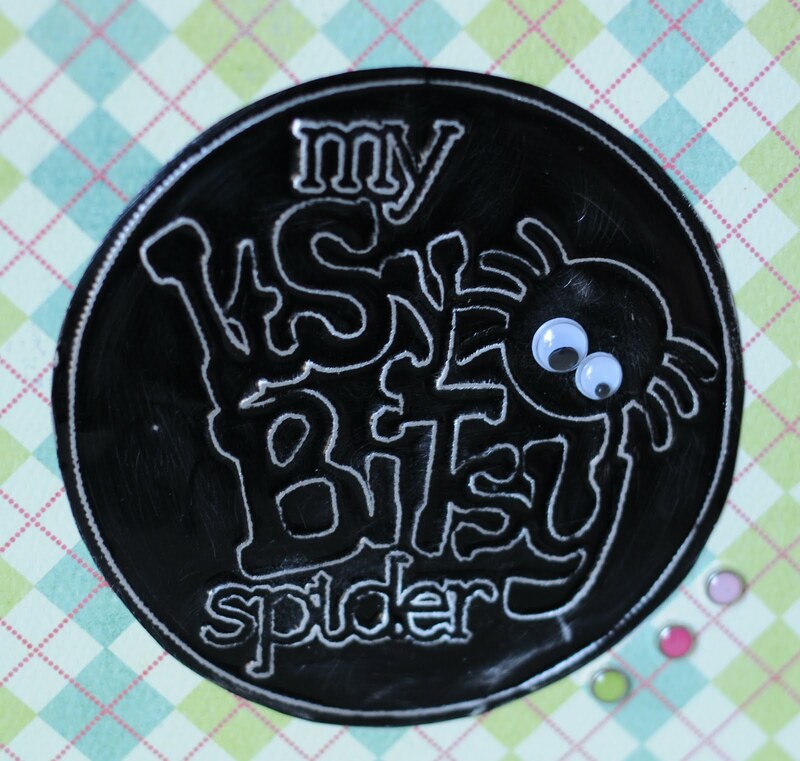 We also offer the micro mini Sharpie markers in black, both are available on the right hand side of my blog! 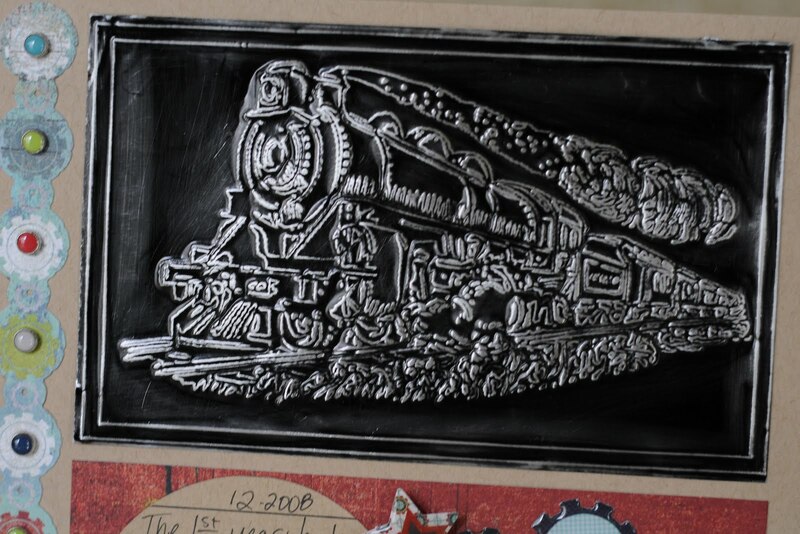 This is a train I downloaded from google, and with the help of the embossing kit for the Cricut, Make-the-Cut, and Ten Seconds Studios metal sheets, this is what I got! It looks even cooler in real life! 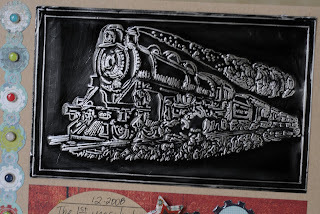 Just imagine, ANYTHING you could want to emboss on metal! ANYTHING! My son just loves this train we have, and I've been sitting on these pictures forever because there was nothing "train" for a scrapbook page that I was impressed with, until now!! I did get these cute papers from Basic Grey's Oliver line as well, and the now 1 1/2 year old photos are finally done!!! Look at the details! Here I go again! 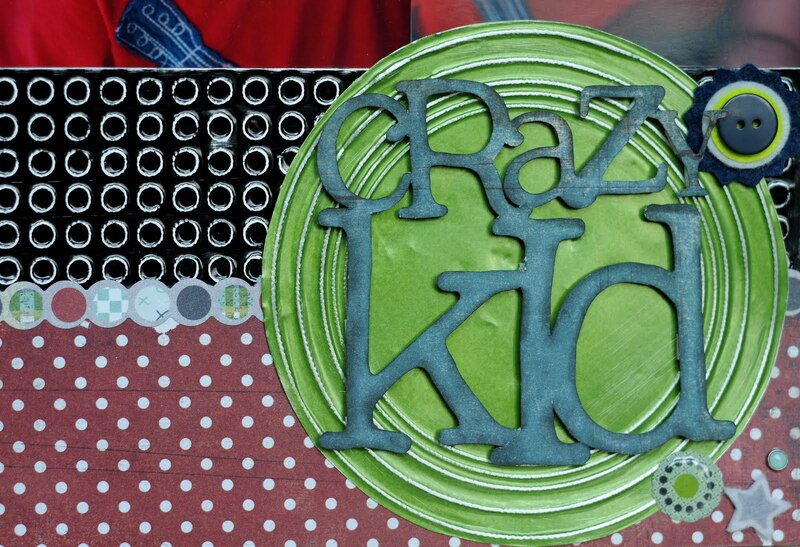 I'm addicted to the metal sheets and the Cricut, I will admit, I have a problem lol! So here is another one! 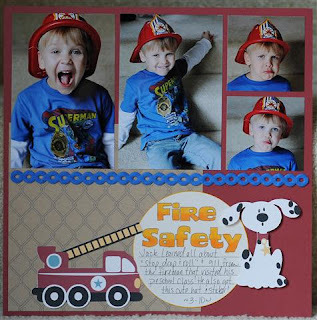 For this page I used the embossing kit for the Cricut, Ten Seconds Studios metal sheets, Graphically Speaking, and Design Studio. I stacked the circles for the title in Design Studio! 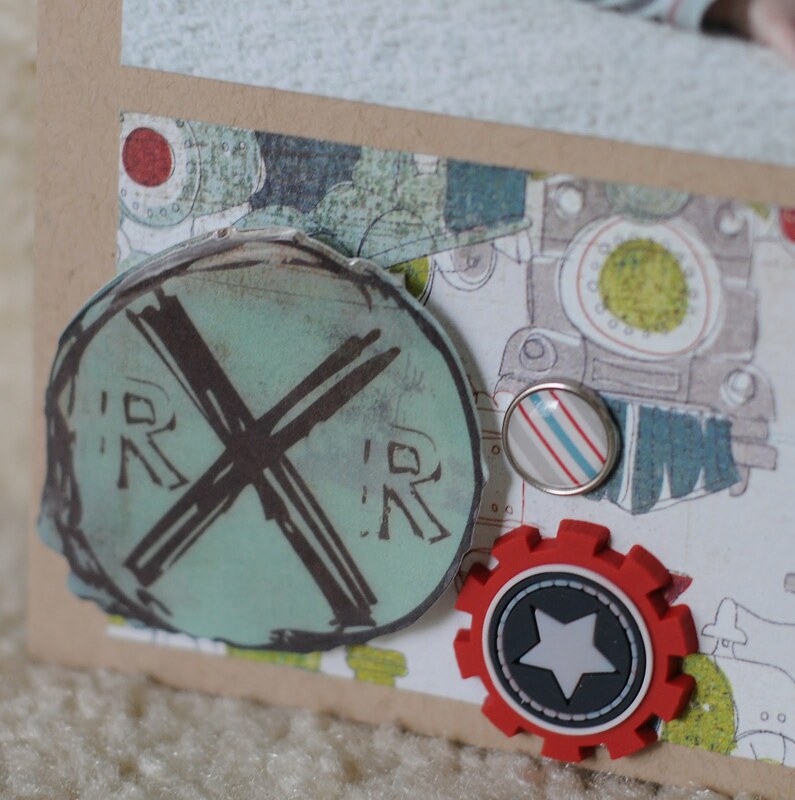 Again, to get the look on metal, you need to put the colored side down, and sand off the debossed side. Being that Ten Seconds Studios has such amazing colors of metal sheets, this works awesome on them! The paper line is all Basic Grey Oliver. **CLOSED*** Now if you kept reading, you are in for a treat!!! 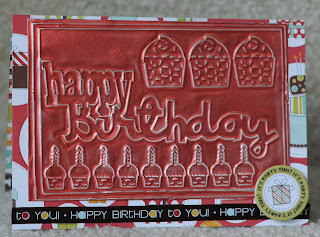 I'm giving away an embossing kit to one lucky blog reader! How do you win? SIMPLE! Leave a comment here, under this post! 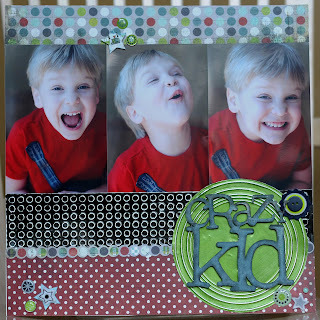 Tell me what you would do with the embossing kit if you won it!!! That's it!! And most important, make sure I know where to find you! I'll pick a winner Sunday night, 9 pm eastern time, or later if I'm running late! Please only one comment per person!